New Year’s resolutions are funny old things aren’t they? I suppose it’s a way of getting over the heartbreak of packing away the Christmas decorations and saying goodbye to everything gingerbread flavoured, sealed in a promise that this year will be the one you’ll remember the most. I think the reason resolutions get such a bad rap are that people set impossibly high goals for themselves or are too vague to stick to them. Drink less. Does that mean one glass fewer than usual or only drinking on weekends? Ah sod it, pour me another Rioja. Lose three stone and become a gym bunny. Oh, that queue for the running machine is a bit long. Don’t fancy the reality of a 5am alarm clock to go the gym. I prefer cakes to crossfit. Sod it, I want another tin of Quality Street. I’ve written about goal setting in the past here and here, and can honestly say that smaller, short term goals are far better than over enthusiastic resolutions. Instead of setting a weight target, I’ve challenged myself to practice more difficult yoga routines over the coming year. I want to learn to make brioche dough, so that when summer rolls around I can stick fat charred burgers in homemade buns. As for my blog, I want to offer at least one dairy free, gluten free or vegan recipe a month as they are the posts you guys like the best. Luckily, my first post of 2015 encompasses all three of those diets, all processed into health bars that mimic the taste of apple pie. I absolutely love Nakd bars, and my current obsession is Cookie Cashew. 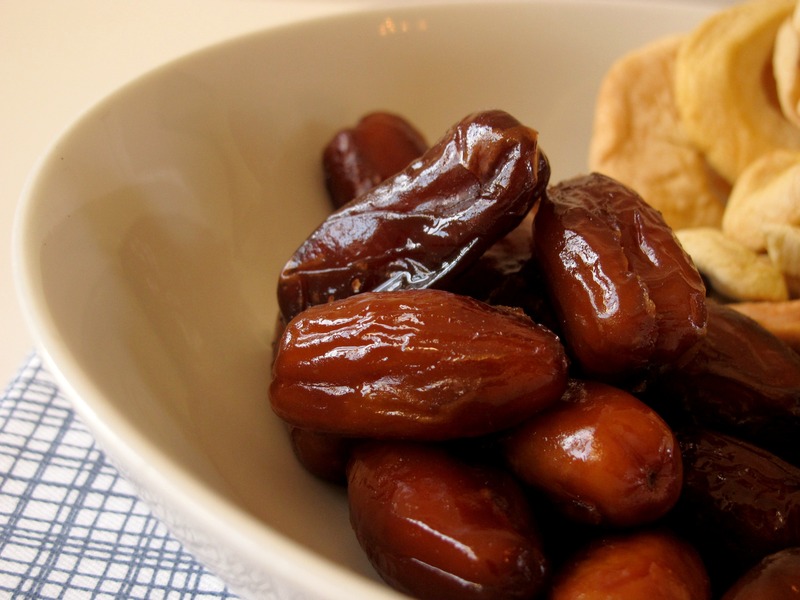 I mean, how on earth do dates and cashews blitzed together taste like oatmeal cookies? 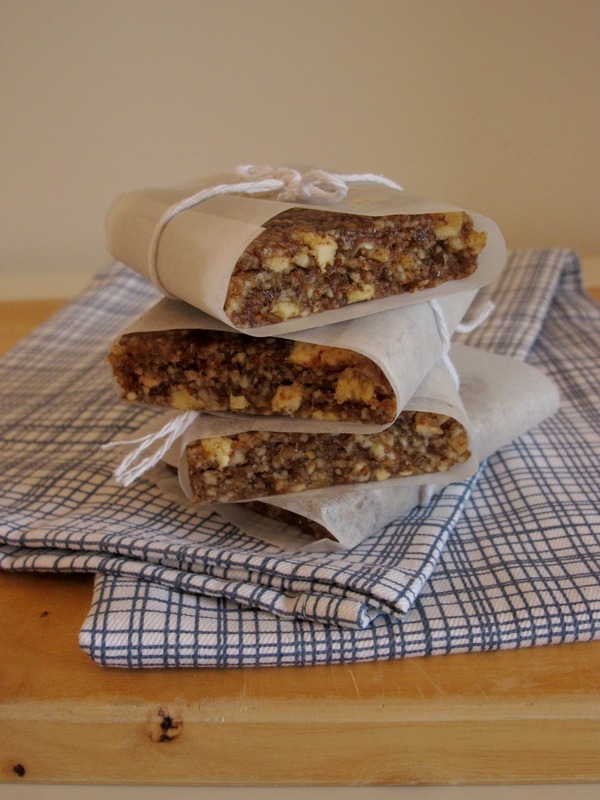 It’s like baking magic and I love making healthy and delicious raw bars at this time of year when I’m suffering chocolate fatigue. One of my favourites in the range is Apple Pie, but trying to cut down on my gluten intake this January, I’ve made this version gluten free and coeliac-friendly. They are lovely enjoyed mid morning with a coffee or post lunch for a hint of sweetness thanks to the apples, agave nectar and syrupy dates. I was a little lazy and sort of threw everything into the bowl at once, but if you prefer a finer texture, blitz the dates, apples and apple juice together to a paste then re-add the ground nuts. Whatever you choose, I hope you resolve to have a happy 2015, whatever your goals for the next 12 months are. 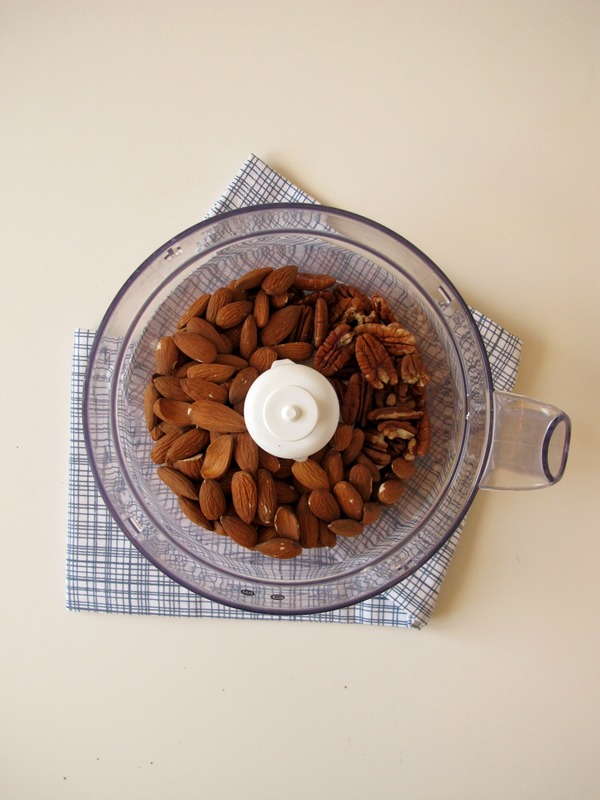 Place the almonds and pecans in a food processor and blitz for around 30 seconds to a fine meal. Add the dates, apple slices, apple juice, agave nectar and spices to the processor and blitz again to a sticky dough that clumps together in your hand. Turn out onto a piece of baking parchment and knead together to a ball. Place a second sheet of baking parchment on top and roll out to a rectangle shape around 20cm by 15cm with a thickness of around an inch. 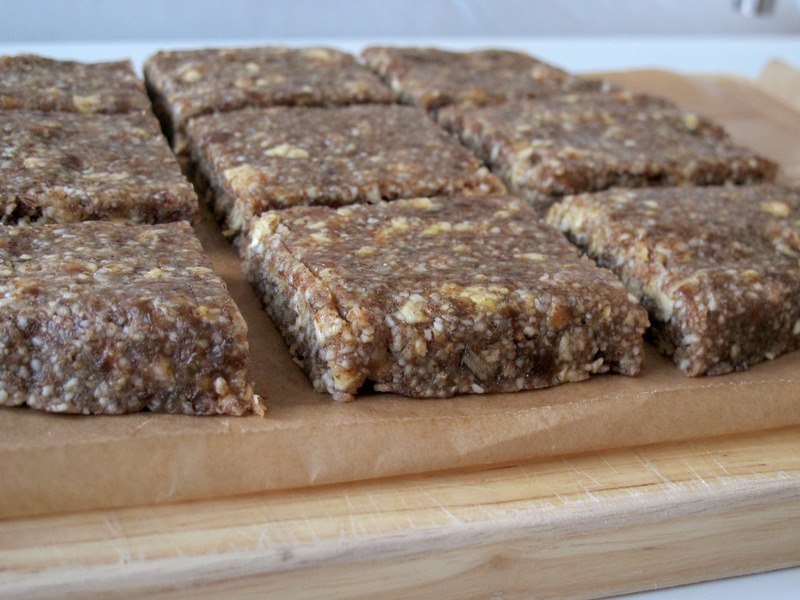 Place in the fridge to harden and cut into bars or squares. Wrap in baking parchment and store in the fridge for around a week in a plastic container.